ProofPilot might not look that different to you this morning. But, behind the scenes, it’s supported now by an entirely different infrastructure. That infrastructure is more secure, more scalable, more disaster resilient, and sets us up for some really exciting releases (and a game-changing partnership) in 2019. We’ll tell you more about that partnership in a future blog post. But now, let’s get into what’s new on ProofPilot today. ProofPilot draws inspiration from the airline industry for release names. Airport infrastructure like baggage handling, air conditioners, security screening, and many other activities go unseen by the average passenger. We only really notice when something goes badly wrong. While flying through the air gets all the glory, the infrastructure on the ground makes it all possible. Efficient and effective operation keeps us comfortable, or travel safe and our experience secure. Building airport infrastructure is a massive undertaking that can sink political careers. The under-construction Mexico City airport played a role in the presidential election. Even notoriously efficient and organized industrial nations like Germany can get in over their heads. The new Berlin Airport will open almost 10 years behind schedule. It’s been plagued with construction and operational problems. And if you don’t get the airport right, it’s tens of billions wasted. Montreal’s Mirabel Airport was built as the worlds largest airport in 1975. It closed to passenger flights in 2004. It’s passenger terminals are largely abandoned. While you can access ProofPilot from any internet connected device, there is significant physical infrastructure to make that all possible. With this release, ProofPilot has transitioned our entire backend infrastructure to the Googe Health Cloud Platform. We’re using the same worldwide infrastructure that hosts things like Gmail, and Google Search, with the added security and operational procedures required for HIPAA and CFR Part 11 compliance. ProofPilot is adding additional capacity. Depending on where you are in the world, you should notice things are slightly speedier. And, more importantly, when a hit study goes viral, ProofPilot’s has improved the way we scale our capacity, so everyone’s experience will remain snappy. All this capacity includes updated security infrastructure and processes. The work to make this transition started in July. And we’re not done yet. ProofPilot will be introducing new features made possible by Google Health Cloud in future releases. And we promise these features will include items that everyone can get excited about. Also in this release, we’re adding a much-requested feature: formatting in survey questions. Now you can add bold, underline, italics and images in your data collection questions. 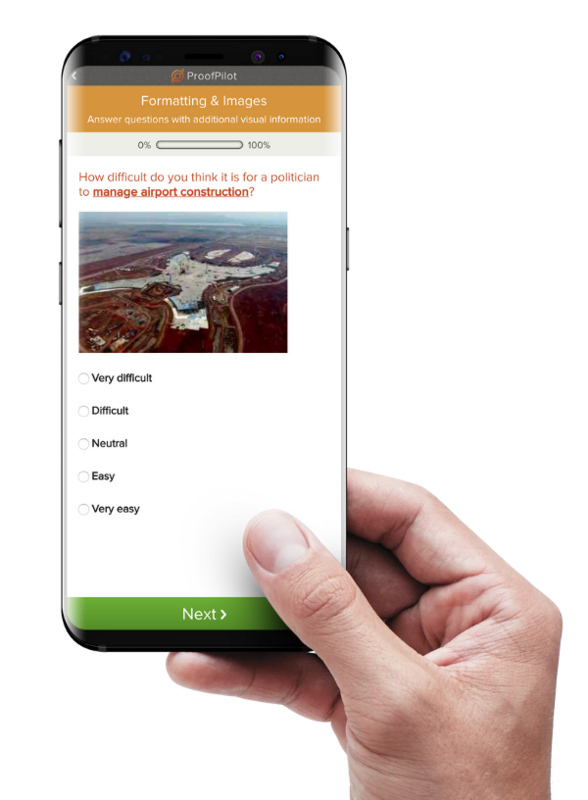 We will be adding similar features to survey answers in the near future. We’re finding the ideal image size is 300×200. That size will work across all device sizes and orientations nicely. 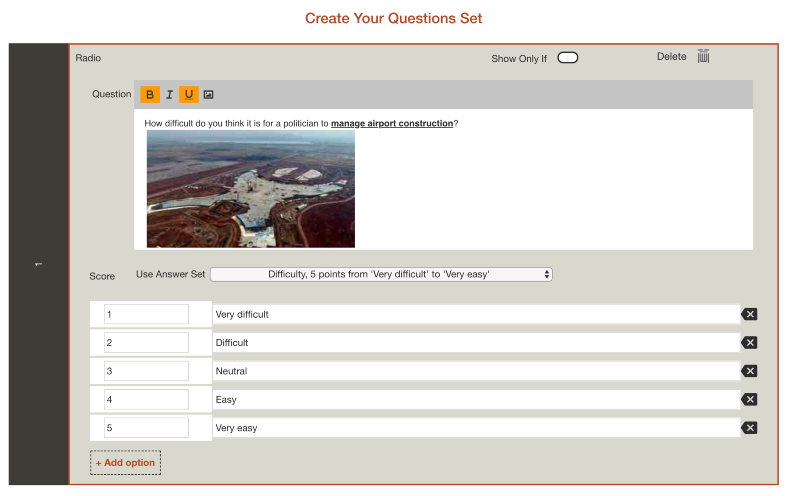 added additional survey answer options. continued to improve layout on tall but thin screen orientations (now works beyond newer IOS models, including Samsung S9). New Live view link on active studies so study designers can quickly get a link, and see their study after study is activated. Improved messaging when there are no templates available for your search. Updated formatting and wait-notifications in participant insight and reward task lists. Improved handling of color changes on the study recruitment page design view.